O frabgious day, Summer's Lease is available on DVD. 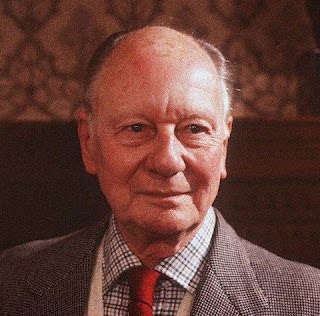 Naturally John Gielgud has top billing, and he deserves it. He is hilarious and not to be missed in this, one of his greatest performances. This is one of my favorite things in the whole world, something that I long for every decade or so. I have had to resort to eBay for my copy. It's a mystery by John Mortimer and is set in Italy. For the mystery lover, art lover, Italy lover it has everything. There is an excellent film of the Palio in Siena, for instance. I admit that it has taken me many years to completely understand the plot. I especially love the part where the heroine follows the Piero della Francesca trail, ending with the flagellation in Urbino, something I have since done myself. On my way to Kinkos where I am blogging for the time being they were discussing Richard Strauss and Hugo von Hofmannsthal on the radio. How is that possible? There is a court case in Germany about royalties for the text when an opera is performed. I didn't hear the whole broadcast since I came in in the middle, but Strauss wrote an opera on this subject--Capriccio--text not by Hofmannsthal. Which is more important, text or music? The opera seems to conclude, as we have seen from recent Met broadcasts, that it is the prompter who is most essential to the success of the opera.